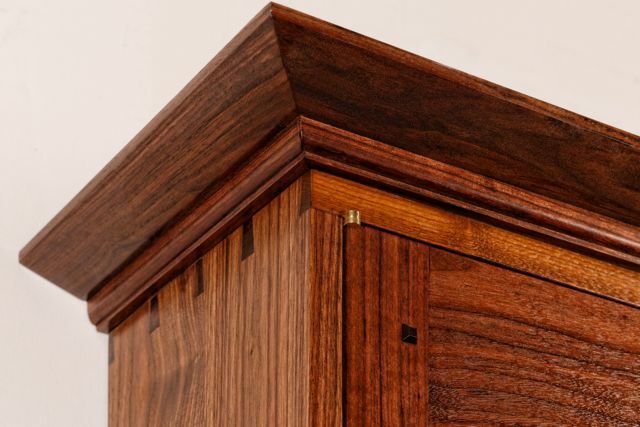 This wall hung cabinet was designed to house a flat screen tv. 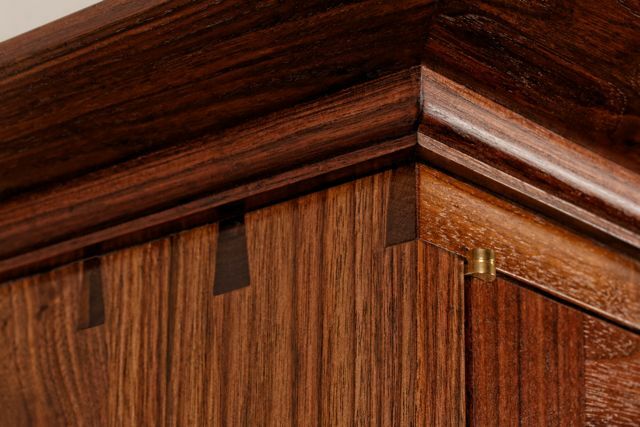 The cabinet is joined with through dovetails and the doors are hung with elegant knife hinges. 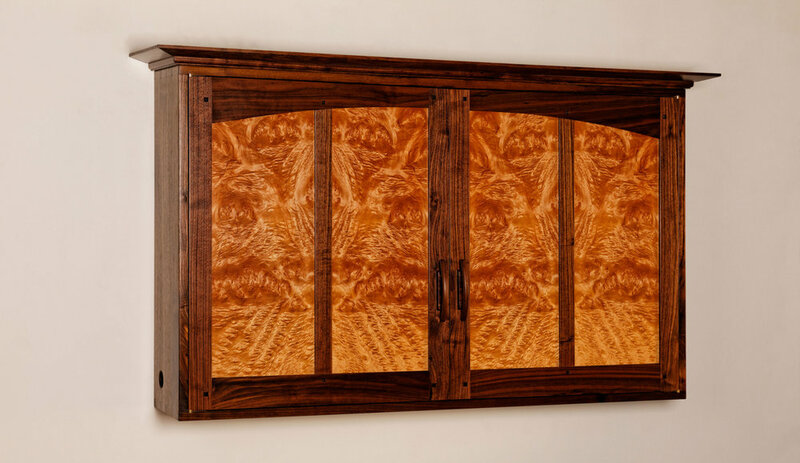 The panels on the doors are bookmatched maple burl veneer. 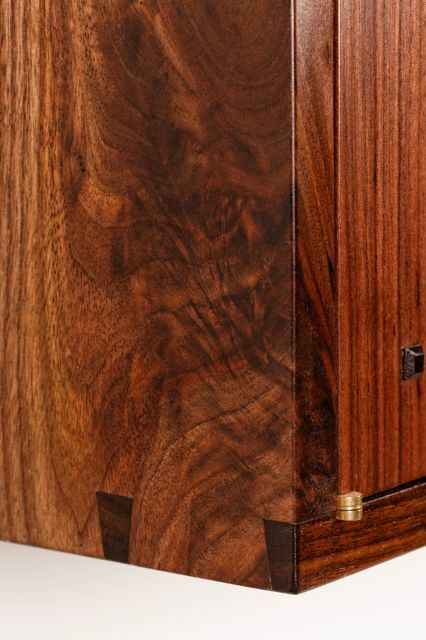 The door pulls are custom made of solid walnut. 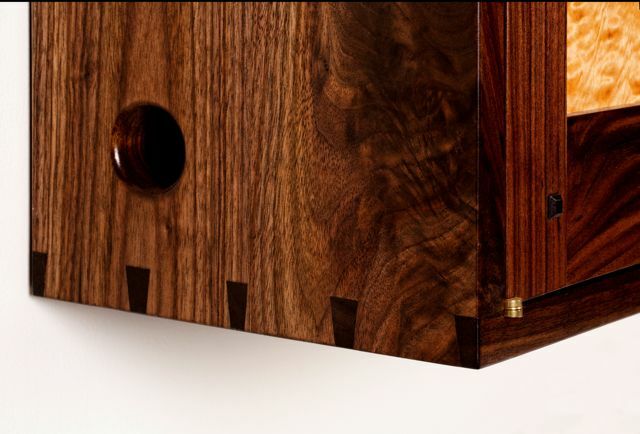 The elegant design of this cabinet is much nicer to stare at than a television screen so, we’ll help you reduce that screen time.